With the start of the new year, I2SL moves forward by welcoming the I2SL New England Chapter, the third chapter supporting our global community. They join the Windy City and Colorado Chapters, which I hope to visit this spring. Chapter interest has continued to spread, and I2SL is currently helping to establish several other chapters in the United States and abroad. I am convinced that with the support of I2SL's Chapters, Members, and community, we will continue to expand upon Labs21's mission and provide even greater value to this community in 2014. 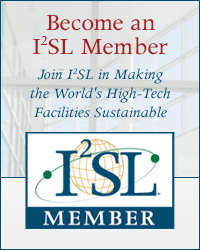 In furthering its mission to promote the sustainable laboratory and high-technology facility community, I2SL will host the 2014 I2SL Annual Conference, formerly the Labs21 Annual Conference, from September 22 through 24, 2014, with pre-conference training sessions occurring on September 21. The conference will be held at at the Caribe Royale in Orlando, Florida, and it offers an opportunity to learn, network, and exchange ideas among leaders in the field. The Call for Presenters is currently open, and we are accepting abstracts for the conference, as well as exhibitor registrations for the Technology and Services Fair. If you have a presentation you wish to share before the conference in September, there are opportunities for speakers in I2SL's monthly "High-Tech Talks" webinar series. For webinar participants, these valuable presentations also provide continuing education credits and opportunities to discuss new and emerging topics with leading experts. I encourage you all to explore this opportunity by viewing past webinar recordings. Finally, I would like to thank both the past and present members of the I2SL Board of Directors, whose guidance and commitment has enabled I2SL to continually move forward in meeting its mission and providing value to this community. I2SL's success also depends on the dedication of our community, so I always welcome those who serve, own, or operate high-tech facilities throughout the United States and the world to get involved with I2SL and share their knowledge and expertise. Read on to see how you can get involved. I look forward to joining you in a productive and sustainable 2014. The 2014 I2SL Annual Conference Call for Presenters is now open! I2SL invites planners, designers, builders, facility managers, manufacturers, and other community leaders to share their latest work and innovations with the sustainable laboratory and high-tech facility community. Abstracts are due Friday, March 21, 2014, and selected speakers will present at the conference in September. Submit your abstracts today or find out more about the Call for Presenters deadlines and requirements. Put your organization in front of I2SL's specialized conference audience by exhibiting in the 2014 Technology and Services Fair. Booth staff will receive the lowest conference registration rates available, and companies that have exhibited for five or more years receive a $500 discount per booth. The floor plan is now available, and 20 exhibitors have already claimed their spots. Sign up today! If you would like to see your organization listed here, sponsor the 2014 I2SL Annual Conference! Florida is becoming a strong and competitive market for the high-tech facility industry. I2SL is coordinating with leading organizations, such as BioFlorida and the Orlando Economic Development Commission, and the 2014 I2SL Annual Conference presents the opportunity for you to network with these groups. Get your organization in front of Florida's high-tech industry by sponsoring the conference today! I2SL Welcomes the New England Chapter! The I2SL New England Organizing Committee, sitting from left to right: Jim Blount, Pamela Greenley, Greg Muth, Dave Rausch. 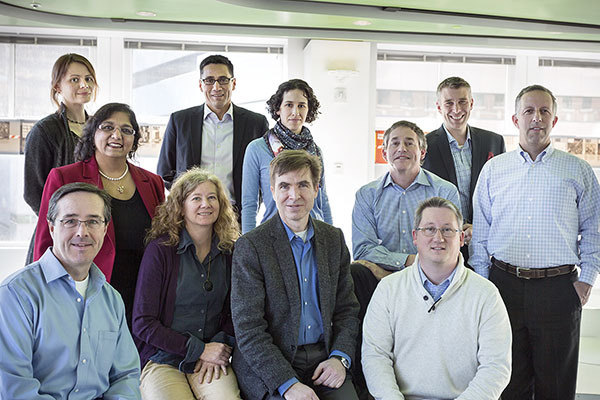 Standing from left to right: Alison Farmer, Kumkum Dilwali, Cristian Monsalves Salazar, Roselin Osser, Chuck McKinney, Erik Lustgarten, and Jim Grunwald. Missing from photograph: Ken Crooks, David Rielly, Michelle Ruda, and Laura Rodormer. Formed in late 2013, the I2SL New England Chapter serves Connecticut, Maine, Massachusetts, New Hampshire, Rhode Island, and Vermont. The New England Chapter will work to further I2SL's goals and promote the environmentally responsible design, construction, and operation of resource-conscious facilities dedicated to scientific education, health care, and research. The New England Chapter's primary objective is to enable the best possible sustainable design and operational practices through the active participation and ever-growing support of industry professionals within the Northeast. The chapter will draw upon the enormity and diversity of professional, corporate, and institutional expertise within its region. Visit the New England Web page for information on upcoming chapter events, and to learn more about or join the chapter. I2SL and its contributions to this community. I2SL Chapter in Shanghai, China. We are asking for volunteers with a connection to Shanghai willing to assist in the creation of this chapter. Contact I2SL if you are interested. Planning groups are also forming for I2SL Chapters in Washington, D.C.; Kansas City, Missouri; Philadelphia, Pennsylvania; and Seattle, Washington. If you are interested in supporting these planning groups, please contact I2SL. To join the established Colorado, Windy City, and New England Chapters, please visit their Web pages to contact them directly. Recently, I2SL's Phil Wirdzek traveled to Bologna, Italy, on the invitation of the Italian National Agency for New Technologies, Energy and Sustainable Economic Development (ENEA). The visit was a first step in I2SL and ENEA's collaboration to promote sustainable strategies for Italian laboratories and hospitals. A week of facility tours and meetings took place, providing a preview of the opportunities and relationships that I2SL and ENEA hope to develop in the coming months. I2SL also worked with ENEA to bring a University of Bologna Ph.D. candidate in engineering to serve as a research assistant for one semester at the Center for Building Performance and Diagnostics at Carnegie Mellon University in Pittsburgh, Pennsylvania. This collaboration provided an opportunity that I2SL hopes to expand, encouraging international student exchanges that can enrich student understanding of high-tech building design, engineering, and operation. For more information on this collaboration, contact I2SL. On December 19, 2013, the National Association of Manufacturers released a report commending the federal government's work with energy savings performance contracts (ESPCs). Improving Federal Energy Savings Through Performance Contracting attests to the federal government's success in saving energy, lowering costs for taxpayers, and reducing greenhouse gas emissions through ESPCs. The end of 2013 saw $1.3 billion in projects awarded, with an additional $1 billion in projects under development. Consistent with this effort, as part of a Memorandum of Understanding with the U.S. Department of Energy's Federal Energy Management Program, I2SL initiated an effort to increase the application of ESPCs in federal labs and high-tech facilities. On January 23, 2014, I2SL and FEMP conducted the "Success Third-Party Financing in High-Tech Facilities" webinar. I2SL is also developing a strategy to support the implementation of third-party financed projects for both public- and private-sector owners. To learn more about ESPCs, visit the Federal Energy Management Program's website. The following are just a few of the industry events taking place over the next few months. Visit I2SL's online calendar to learn more about these and other upcoming events, and contact I2SL if you have an industry event that you would like us to share. Phil Wirdzek will be a keynote speaker at this event. An I2SL representative will participate in this event. Phil Wirdzek will speak at this event. The Call for Presenters deadline is Friday, March 21, 2014. 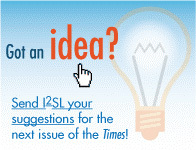 To share your work at the 2014 I2SL Annual Conference, submit your abstract today! Registration for the 2014 I2SL Annual Conference will open in May 2014. Find out more about conference registration and admission to the Technology and Services Fair. Information on the 2014 Go Beyond Awards will be available this spring. Stay tuned! Conference sponsors may get the opportunity to meet with leaders in the Florida high-tech industry. Contact I2SL to learn more. Center. I2SL has a discounted room rate for conference attendees, which is effective for three days before and after the conference. Book your hotel reservations today to ensure you and your family can take advantage of this great offer. The Labs21 Energy Benchmarking Tool is up and running! Input your data to compare your facility to hundreds of others in the database.